Social enterprise The Circle has been accredited as a living wage employer. A Dundee community hub has been named on the NatWest SE100 Index. Local social enterprise Uppertunity is hosting a Burns supper with a twist this weekend. A young stroke survivor is going from strength to strength in her new job. A social enterprise founder has been named as one of the industry’s top 100 most inspiring women. Dundee social enterprise The Circle has filled its final office space less than two years after launching and within 18 months of signing a lease. A young man who struggled to adjust to working life is now flying high at a community facility thanks to a work coaching scheme. Social enterprise The Circle has filled its final office space within two years of its launch. Presenter Maya Jama has said social media is a “gift and a curse” and revealed she limits the time spent on her phone while on holiday. 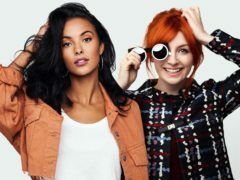 Alice Levine and Maya Jama will co-host Channel 4’s new social media-style reality show. A Dundee community centre is looking for more volunteers. These Staffies definitely have a smile on their face after a £500 donation. 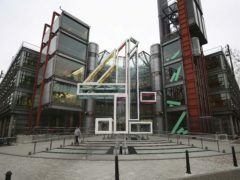 Channel 4, the former home of Big Brother, has announced a new reality show with a twist – contestants will only communicate with each other online. A social enterprise group is planning a speed dating event with a difference on Valentine’s Day. The Circle social enterprise centre in Dundee hosted a tasty Burns lunch. Organisers of a job fair aimed at improving young people’s prospects were left disappointed when no youngsters turned up to the event. Entrepreneurs are being offered the use of office space for three months — completely free. A new community hub is being launched which could help people into work in Dundee.